Erica Bunker | DIY Style! 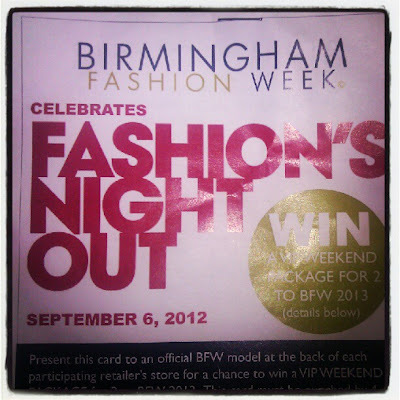 The Art of Cultivating a Stylish Wardrobe: Review: Vogue 1267 | What I wore for Fashion's Night Out! Review: Vogue 1267 | What I wore for Fashion's Night Out! This is Vogue 1267 from Tom & Linda Platt. Such a fabulous asymmetrical, high-low hem sheath dress. This pattern had been in my "to sew" stack since it first came out. And I thought this occasion was perfect for it. I used a gorgeous 100% fuchsia wool crepe from Mood.com. The pattern suggested a lining and I normally am a firm believer in lining all woven dresses. But this fabric had a natural stretch and the lining fabric (china silk) that I chose, did not. So I decided to go without. I had a lot of concerns on how the dress would wear without one (i.e. would it ride up)?! I wore a nylon slip underneath to make sure that it stayed in place. I found the neckline to be a bit high. I altered the back and front about an inch. And I finished the seams with my serger. Also, the long side of the hem has a "weight" in it. I used a quarter for my weight. I added a statement necklace, a clutch and mary jane platform pumps to complete the look. "Wait! Mommy, is my face and hair okay?! Yes, Mikaela... you look beautiful!" And for my date, I brought Mikaela along! We had a fabulous time! 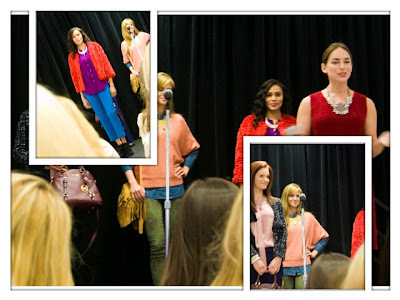 Megan LaRussa did a Fall fashion presentation at Belk @ the Summit. And we also hit up Gus Mayer for some high fashion fun! Love the dress and the color is gorge! Love the dress! I just realized with this post that you are also in Alabama. Greetings from central Alabama. Thanks Kavonda... it's a small world! I can't believe how she is growing up!! She's just gorgeous! I went with one of my friends and we had a great time. I think we did more shopping than anything lol. I fell in LURVE with that gold sequin gown in Gus Mayer lol. Adrienne, I saw that fabulous gold gown. Amazing! Thanks! Girl you are too hot for words, that is all. I love the pink! Looks great. The fit of that dress is sick! Beautiful mommy/daughter time. Erica, that dress fits you "insanely" beautiful! I really love how you paired it with those nicely colored Mary Janes! I have to dub you the Color Fashion queen, because you make it so effortless! Great mom and daughter photo opp!! Girl, you look good! The color is divine on you. Good choice not to line the dress. You definitely would have encountered problems since the self is stretch and the lining isn't. An even better choice to wear a nylon slip underneath to prevent the dress from riding up. You look gorgeous, love the color and asymmetrical hemline. 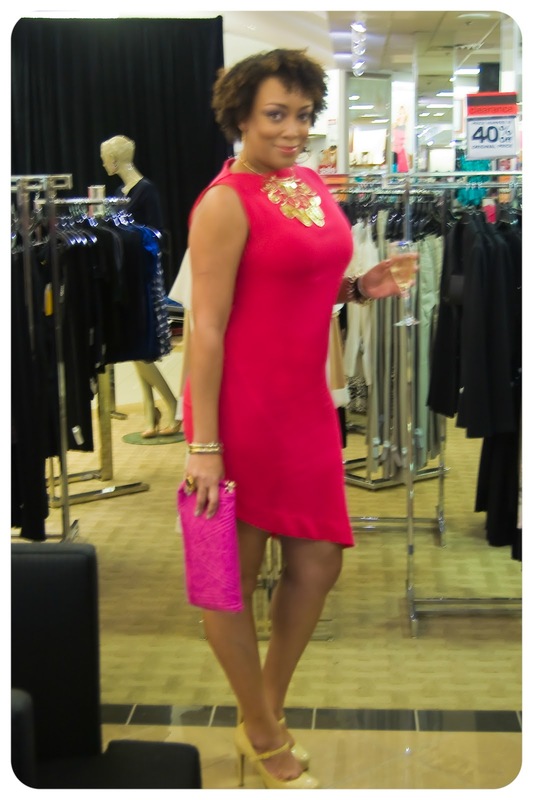 WOW Erica B...looks like you had a FAB time...Loving the dress and the color is AWESOME! I LOVE this! It's absolutely gorgeous!! What a great color, too!